ONLINE EXCLUSIVE! The sweet red cherries that give Blood Sukka its name are blended with forest berries and freshly picked fruit. The juice is then completed with sweet eucalyptus and aniseed to create a berry delicious vape juice with a heck of a bite. Another popular flavour from the original Vampire Vape range now available in a larger bottle and perfect for lovers of large clouds of vapour. Blood Sukka is part of the original collection in the Koncept XIX range. To create the original collection in the concept XIX range, Vampire Vape have taken three of its most popular flavours and combined them with a VG:PG ratio of 80:20. The latest brainchild of well known UK vape juice range, Vampire Vape, Koncept XIX features a higher VG ratio than other Vampire Vape juices. Each 60ml bottle comes with 50ml of nicotine free e-liquid, leaving room to add a nic shot for those who prefer a nicotine vape. Koncept XIX juices come with a VG:PG ratio of 80:20 meaning these juices are best used with a higher powered vape device and low resistance coils. These typically come with larger holes in the coil which are better suited to handling the additional thickness of high VG e-liquids. High VG e-liquids are great for producing large clouds of vapour, for a light airy vape and for direct-to-lung vaping. Using a shortfill for the first time? The video below shows you how to get started. 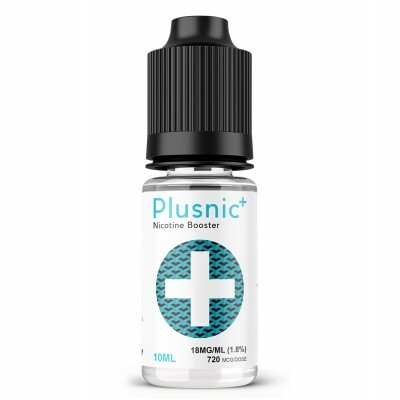 Plusnic Nicotine Booster | Simple Vape Co.